Being a member of the Men’s 1st, Men’s 2nd or Ladies 1st means that you can play competition in the NBB (Nederlandse Basketbal Bond). 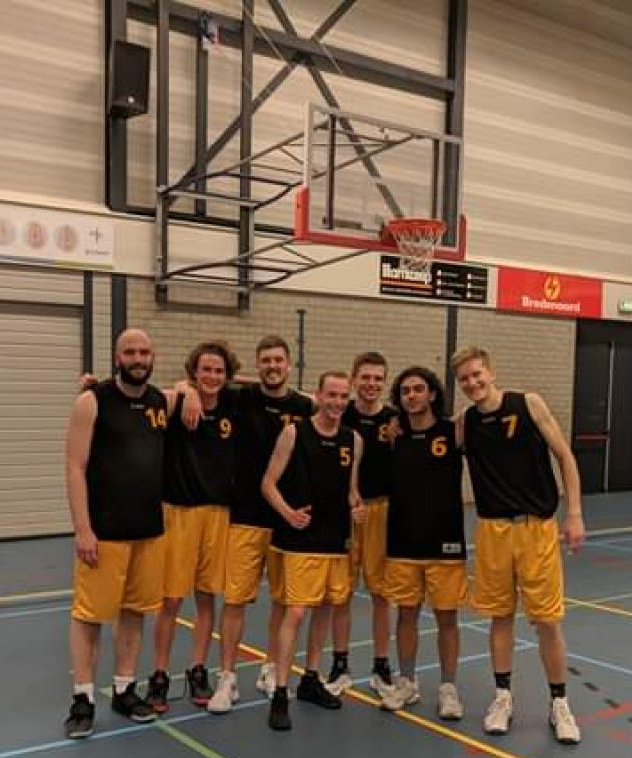 This is the national basketball league of The Netherlands. Part of playing competition at Sphinx is to help during the games of other teams by refereeing, keeping scores, timing or handling the 24 second clock. For this purpose a schedule is made which shows when you have to do a task. Make sure to be at De Bongerd (sportshall 4) 15 minutes before the match starts and whenever you are not able to come, please arrange someone else to do the job for you. For each home game 2/3 people are needed who take care over the table (keeping scores, timing and handling the 24 second clock). The referee/table schedule is posted in the Sphinx facebook group so please check it and put the dates in your agenda!